The Israel Antiquities Authority (IAA) recently discovered a 1,600-year-old winepress, located in the Negev, unearthed in a stone building dating back to the fourth century, the start of the Byzantine period. According to a press release from the IAA, the region is known for its agricultural conditions and once housed vineyards that produced and exported local wine. The Israel Antiquities Authority (IAA) recently discovered a 1,600-year-old winepress, located in the Negev, unearthed in a stone building dating back to the fourth century, the start of the Byzantine period. According to a press release from the IAA, the region is known for its agricultural conditions and once housed vineyards that produced and exported local wine. This particular winepress, which has been identified as one of the earliest in the area, is contained within a 40m² building that once stationed a Roman army unit and features, among other things, a stone pressing floor and could hold 6,500 liters of wine. The area was hit by a plague in the sixth century resulting in a decline in the wine production industry, and the building was therefore abandoned towards the end of the Byzantine period. The IAA has voiced the opportunity to open the site to the public upon completion of the excavation. 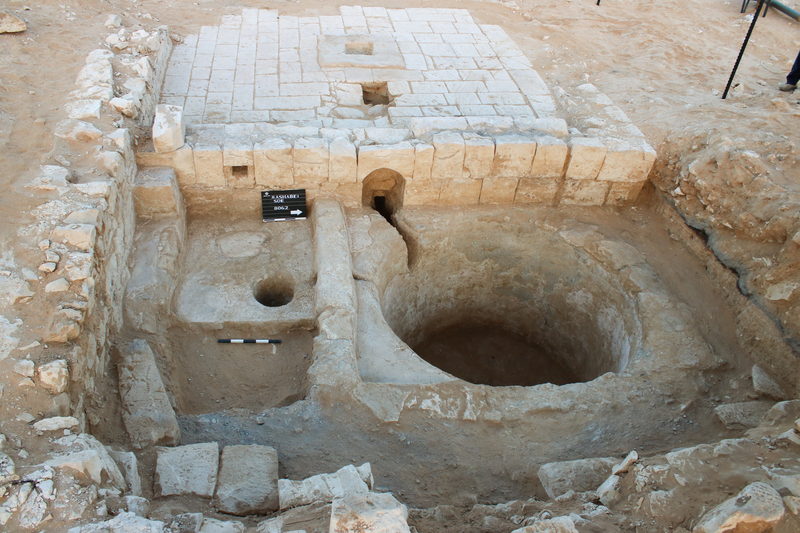 Another recent excavation has led to the finding of a 2,700 year old water plant in Rosh Ha’ayin, a central district in Israel. The site was discovered ahead of the initial construction stages of a new neighborhood in the area, with the aid of high school students taking part in the Education Ministry’s new Land of Israel and Archaeology studies program. The IAA has indicated that the 20-meter water plant, measuring a depth of four meters, is carved beneath a larger building originally constructed during the Iron Age. Fragments of pottery thought to have been used to remove water from the reservoir were discovered in some of the rooms. The IAA, alongside the Ministry of Construction and Housing and the Rosh Ha’ayin Municipality, plan to open an archaeological site with public access.